Ever wonder what the underside of a NASCAR Camping World Truck looks like? 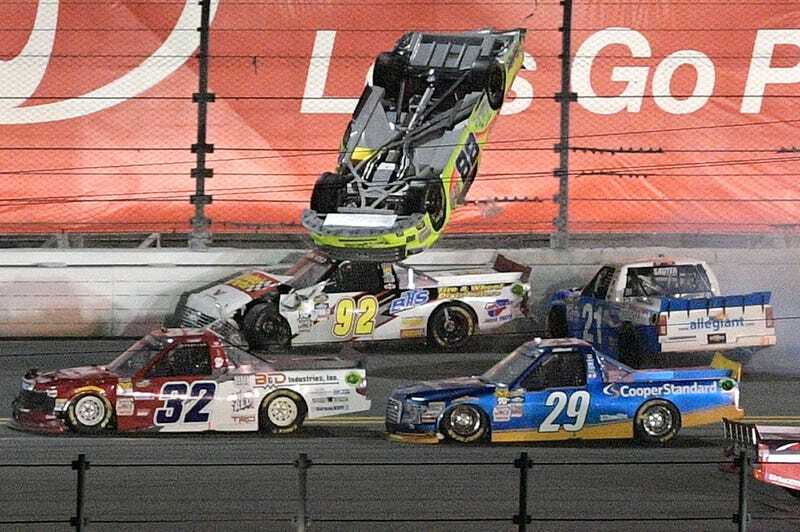 Wonder no more, thanks to last night’s insane race-ending crash at Daytona. Here’s the No. 88 of Matt Crafton captured in mid-flight.